I’ve gotten much more into my beauty routine over the past few months (it’s been all the more important with Singapore having been in such a state of dreaded haze the last few weeks! 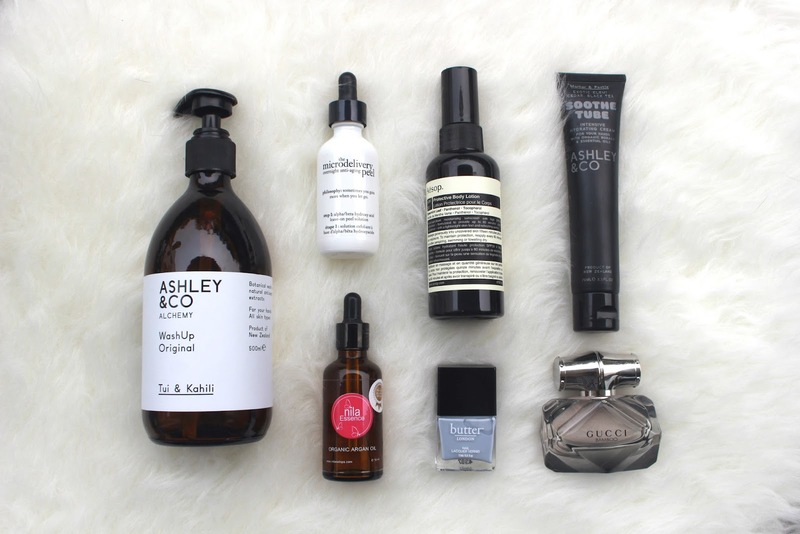 ), and lately I’ve been favouring lots of pampering and calming oils, natural scents and skin-rejuvenating ingredients. What I’ve found is that my complexion, hair and even my nails look and feel nourished and quite healthy despite the weather – this is what I’ve added into my regime. We wash our hands so many times a day, so I figure it’s a wise idea to invest in and keep a nice, nourishing formula by the sink. 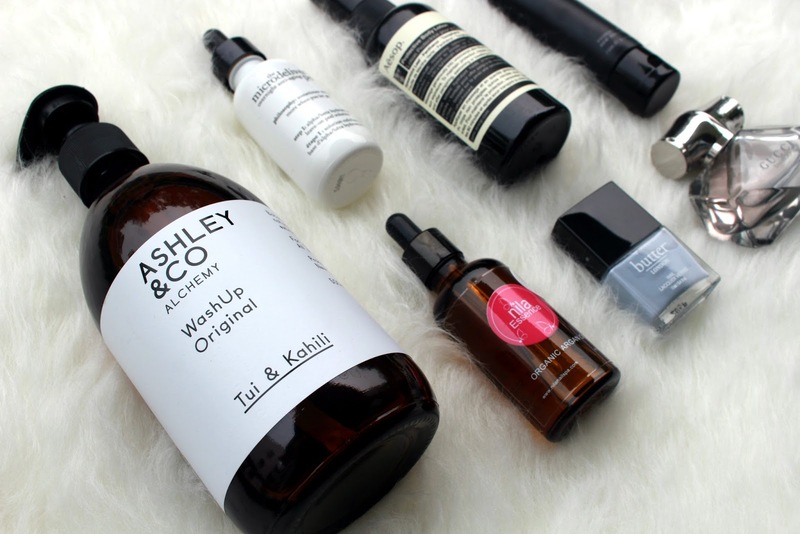 This one by NZ brand Ashley & Co. is soap free and non-drying/stripping, and contains natural antiseptics like grapefruit seed and aloe. It also smells divine with hints of lily and wild ginger. This is actually a two step system peel you can use at home and is great for use on pigmentation and for general skin rejuvenation. I use this once or twice a week, and have noticed a definite brightening effect – this is probably thanks to the potent mix of Vitamin C and peptides. After using the liquid peel, I’ve been applying the youth-extending night gel on my face (not pictured here!) and washing it off in the morning, and my skin feels more hydrated and supple the next day. This “wonder” oil has many uses – a face toner and moisturiser, hair treatment, bath oil…the list goes on. Particularly, I really love this formula from Nila, which is a relatively new aromatherapy brand with a boutique at Shaw Centre. All of their products are based on and around the healing philosophy of natural essential oils, which apparently can help speed up your skin regeneration turnover. Yes, Singapore has no seasons, but I can still give a nod to fall with my nail colour, thank you very much. 🙂 Butter London’s Kip is the perfect dove grey. What’s more, their polishes are made without formaldehyde, taluene or carcinogens, toxic ingredients which many other brands contain as standard. I’d like to think that perhaps it will be less harmful to your nails that way (I hate when a polish discolours my nails) and I haven’t had any problem with their polishes so far – recommended! I always keep a tube of hand cream in my bag – something with a beautiful scent to use as a pick me up. Ashley & Co’s Soothe Tube with Cedar and Black Tea uses highly moisturising organic borage oil, shea butter and essential oils to smooth away dry skin. I love to warm it between my hands and hold up to my face to breathe in the scent – really comforting and calming. It’s also great for massaging into your nail cuticles to prevent them from drying. I got given this perfume as a gift, and it’s really grown on me! In general I prefer muskier fragrances, so this really hits the spot. This one is floral yet woody with heart notes of lily and ylang ylang and base notes of sandalwood.